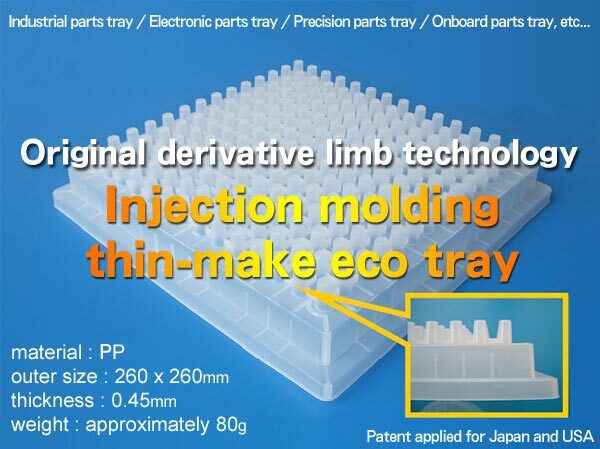 Previously thin-make moldings had mainly vacuum forming, but DAISAN completed the precision thin-make tray with remarkable 0.45mm thickness of PP material by original derivative limb technology. 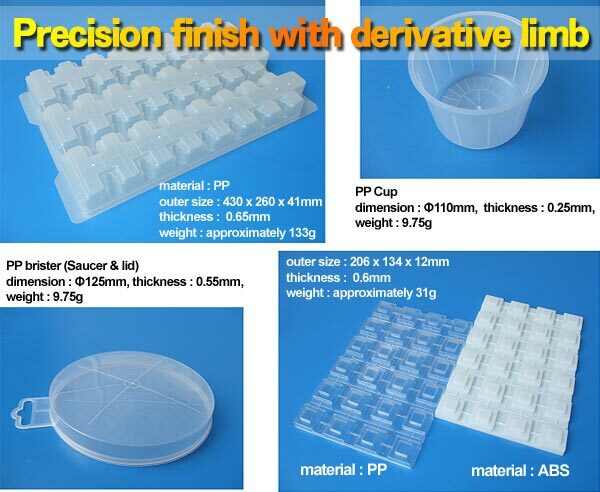 We hold the patent and operate integrated production from planning, design, die making and molding process. A price rising of materials and shipping is expected in the future. In the situation, DAISAN thin-make ecotray is really helpful because of recsability after wash for many times. Please consult about figures, colors, antibacillus, etc. We surely comply with your needs !